I've never even heard of this title though I am familiar with the saying and concept. I have to admit that you have me really intrigued. I'll have to add this one to the list. And I love a good thriller every once in a while. Hey, Jade! Thanks. 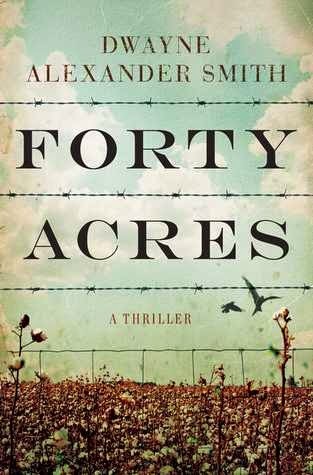 Let FORTY ACRES be your next thriller to read. I loved it, too! You can tell that the author is a screenwriter, because the story moves quickly. Yes, it does. Loved that it moved quickly. I'm hopeful it will be a movie soon.